While Trojans like Dyre and Dridex are dominating malware-related news, we take the time to have a closer look at Tinba (Tiny Banker, Zusy, Illi), yet another Trojan which targets Windows users. In the first part of this post, we give a short historical review, followed by hints about how to detect (and remove) this threat on an infected system. In the second part, we have a look at a portion of the Trojan’s code which enhances its communication resilience, and how we can leverage these properties for defensive purposes. Tinba is a fine piece of work, initially purely written in assembly. CSIS discovered it back in May 2012, and it contained WebInject capability and rootkit functionality in a binary of just 20 KB. The source code of Tinba leaked in July 2014, helping bad guys to create their own, extended versions. The source code of Tinba leaked in July 2014. 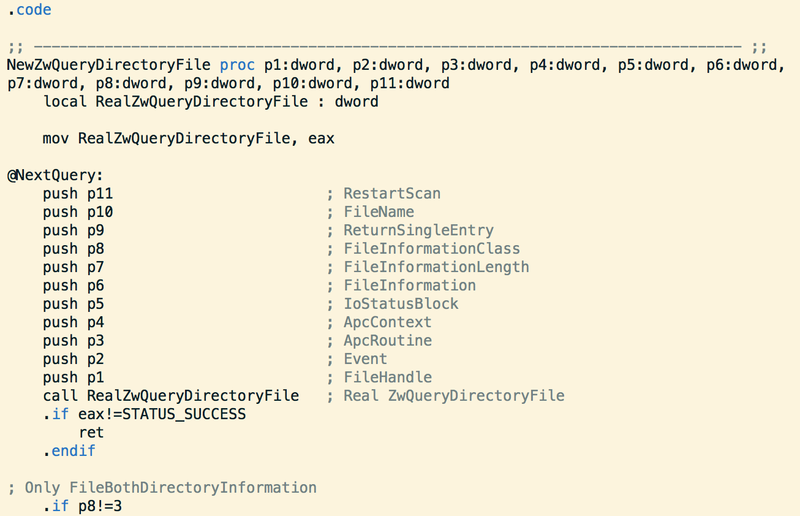 Shown are some preparations to hook ZwQueryDirectoryFile. Tinba on steroids was discovered in September 2014. Two main features are worth noting: First, each binary comes with a public key to check incoming control messages for authenticity and integrity. Second, there is a domain generation algorithm (DGA), which we will discuss later. In October 2014, Tinba entered Switzerland, mainly to phish for credit card information. Tinba tried to phish credit card information. Like other commodity Trojans, Tinba checks whether it is running in a virtual machine/sandboxed environment by checking the hard-disk size or looking for user interaction. According to abuse.ch, there was an intense distribution of Tinba in Switzerland early this year. Such spam campaigns can happen again at any time, so it is of use to know how to detect Tinba on an infected system and remove it. Even though Tinba has the ability to hide directories and files (rootkit functionality), cybercriminals were wondering why they should bother using it. Why not simply hide directories and files with the “hidden” flag, which works for most users? Thus, it is relatively simple for a computer-savvy user to remove this version of Tinba from an infected (see instructions below). A randomly named directory, which contains the Trojan itself, can be hidden by setting its attributes to “hidden”. Categories: DNS & DNSSEC, Malware, Phishing | Tags: DGA, DNS, DNS Firewall, Phishing, RPZ, Tinba | Permalink.